As a Batman fan, you must want to know all about the superhero, including birthday, birthplace, age, property, and hobbies. 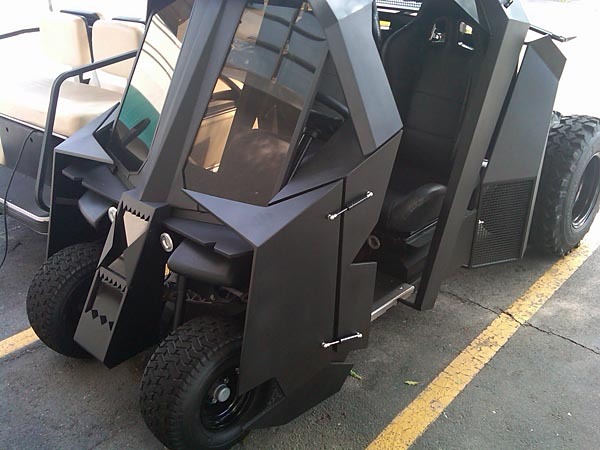 Now we know Batman is absolutely a golf nut. 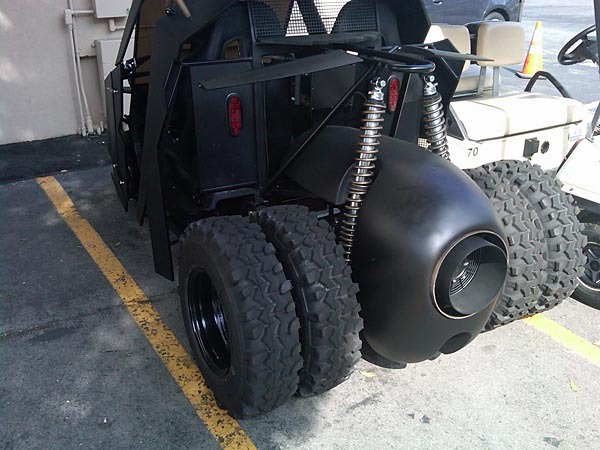 Just for this reason, Batman had prepared an ultra cool golf cart mounted heavy armor and atomic turbine. Apparently it’s the sixth ride of Batman except Batmobile, Batpod, Batboat, Batcopter and Batplane. 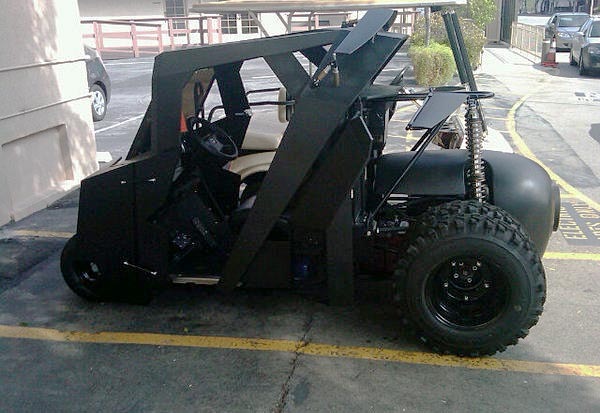 Let’s get down to brass tacks, we have no idea who is the owner of the Batman golf cart, but he/she absolutely did a great job, giving us a so much cool golf cart modification. By the way, don’t miss another cool Batman’s vehicle by someone.